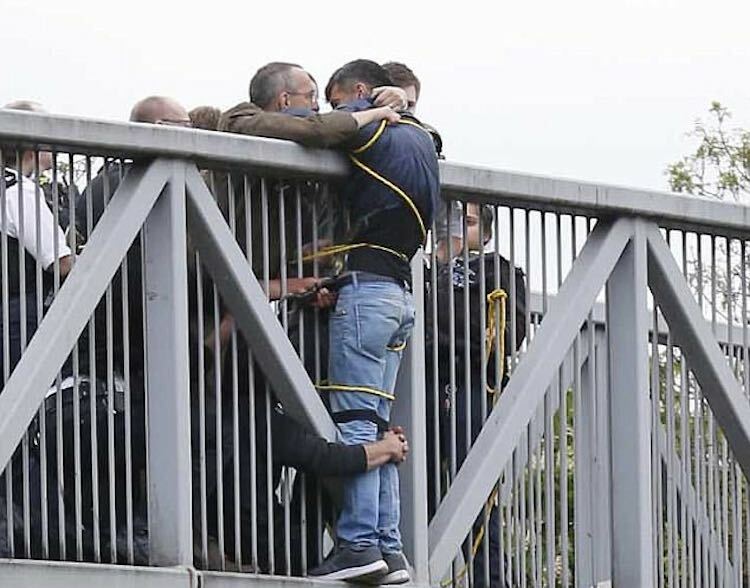 Despite it taking two hours for proper help to arrive, these members of the public refused to let go of a suicidal man preparing to jump off of a bridge. Last week during rush hour near Golders Green, North London, the man climbed over a bridge railing so he could leap to his death. Passerby immediately rushed to grab him through the bars so he wouldn’t be able to jump. As police arrived to offer assistance, the man was also tied to the railing with rope. Traffic on the North Circular road was stopped until – two hours later – a fire engine with a hydraulic lift was able to bring the man down to safety. He was then detained by an ambulance and taken to the hospital under the Mental Safety Act. What a great show of humanity! I'm glad they stopped him jumping, hope he gets the help he needs. Full marks to his helpers tying him to the bridge! Well done!! Well done those people! Let's hope the poor chap gets some help now. Suicide is scarily common among both young men and women. On a global scale numerous ordinary people take their own lives but it only hits our radar when the person happens to be famous. 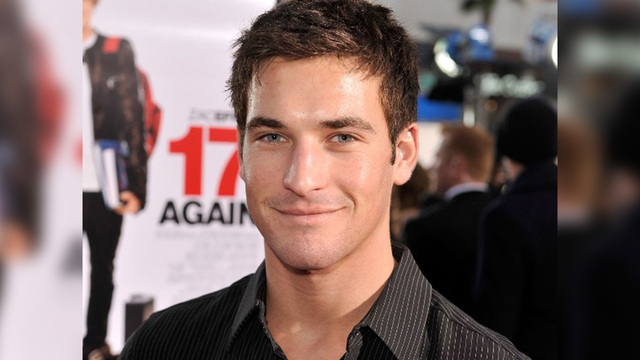 As a random example this young actor shot himself in front of all his friends a couple of weeks ago. That dark empty tunnel of depression must be one scary place. My first thought, too. Is traffic that bad in London? This kinda reminds me of that scene in the film, Joe Dirt...where the guy is about to jump into the Los Angeles River until a cop lassos him. I don't think it took the police two hours to get there, but they had to wait for a fire engine to get him back over the railings. Raggamuffin wrote: I don't think it took the police two hours to get there, but they had to wait for a fire engine to get him back over the railings. Well, that's what I mean about London traffic. Obviously the foot cop could get there, but it took two hours to get a piece of equipment to the scene?? Even New York isn't that slow. Some poor woman here where I live threw herself off the motorway bridge and some scumbag nicked her handbag after she did the deed. Yes Quill. Most of London is pretty much like a giant car park aka parking lot as you guys like to call it.